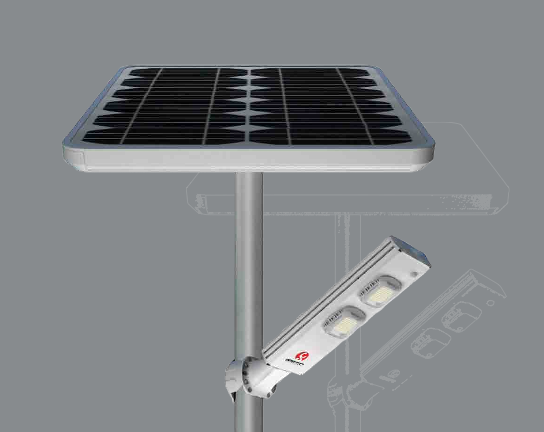 Built specifically for Australia’s tough climate, the Alpha series is the world’s most advanced and intelligent LED solar lighting system. Its clever design and attractive, robust construction incorporates the latest solar power technology, providing many years of outstanding performance and operational reliability. The lightweight lithium-ion batteries are conveniently located under the solar panel, making them easier to install and maintain*. The height of the pole makes the batteries tamper and theft proof. The Alpha uses LEADSUN’s innovative, patented “All-In-One” system that integrates a highly efficient solar panel, compact Lithium-ion LifeP04 batteries and a smart power management system into a compact, easy to install product. Importantly, the “All-In-One” design eliminates the need for external wiring to remote battery packs and does not require an electrical tradesman to set up. All wiring is simply done by IP67 wiring looms that interconnect the high output LED luminaire directly to the power management system without requiring tools. The ALPHA has been designed to withstand the harshest and most extreme environments Australia has to offer – from blistering heat to driving rain, hail and sub-zero temperatures. LEADSUN’s rugged construction is up to the challenge. Its internal components offer IP65 weather protection and its external metallic components are built with marine-grade aluminium and stainless steel fixings and supports. The ALPHA series is also resistant to shock and vibration. The external security bolt fixings that attach the system’s components to the column are not only extremely durable, but tamper and theft proof (a unique tool is needed to remove the fixings). All LEADSUN’s solar lighting systems are subject to a 168 hour neutral salt spray test to prove their effectiveness in marine-type conditions. LEADSUN capitalises on the most technically advanced LED lighting technologies that work seamlessly and systematically with LEADSUN’s latest LED driver and power management system. Our newly developed luminaire uses the latest LED technology from OSRAM that is highly efficient and powerful enough to meet the most demanding requirements while offering superior illumination, ideal for all pedestrian pathway lighting applications. An important benefit of the ALPHA series is its ability to ensure consistent light output even when the batteries are approaching their minimum level. light output can be programmed to dim to a lesser wattage or to only operate when the ‘Smart eye’ detects nearby motion. LEADSUN has adopted OSRAM’s highly acclaimed OSLON SSL LED’s as part of its newly designed luminaire that offers high performance uniformity and an efficiency not seen before in LED technology, while maintaining a compact design. The ALPHA series is available in 20W, 30W and 40W outputs. Life expectancy for the OSRAM LEDs is more than 50,000 hours, providing years of trouble-free operation. LEADSUN uses new-generation, high quality Lithium-ion Life P04 batteries manufactured to exacting standards for high power applications and longevity. Key benefits include enhanced safety, strong thermal stability, tolerance to abuse, a high current rating and a 1500 cycle life (the highest available for this kind of battery). Lithium batteries are half the weight and size of lead acid and some other deep cycle batteries, take higher voltage under load and offering as much as 10 times the cycle life. Lithium batteries are also fully recyclable, making them the smart choice for our precious environment. LEADSUN’s batteries are charged for maximum efficiency using our integrated charging circuit that constantly monitors the state of the batteries to optimise the charging levels while protecting them against overload, over-charge, over- discharge and accidental short circuit. The batteries can operate in tempera- tures from -20 degrees to +60 degrees celsius.